Get more out of your little oven with these easy toaster oven hacks and baking tips. Learn how to make any cookie recipe, cook the best crispy frozen fries, keep pancakes warm and even melt chocolate with your toaster oven. Bake the best tasting frozen fries and tots with our 3 simple tips. 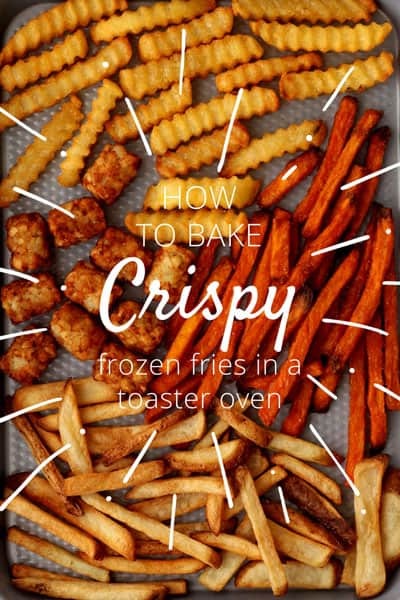 Even better, you can use these tips for any frozen foods you want to get crispy, not just fries! Get the toaster oven frozen fry tips here. When we first started cooking in our toaster oven we made a full batch of our all-time favorite cookie recipe. The problem was we only had one tiny baking pan and the recipe made 5 dozen cookies. It took almost 4 hours to bake them all! Not to mention the tempting leftovers we had to pawn off on our coworkers and neighbors. With these simple toaster oven cookie baking tips, you’ll learn how to achieve the results you want using ANY recipe including these 70 Small Batch Cookie Recipes. 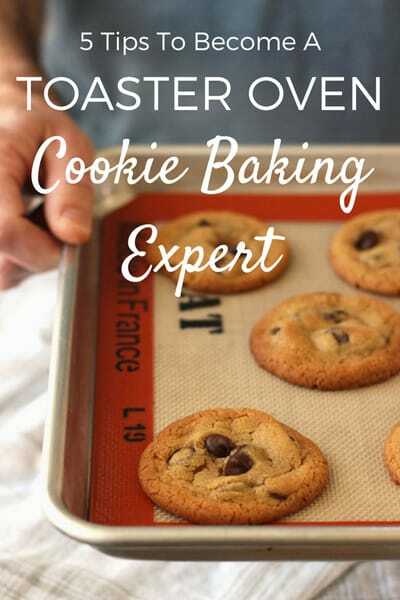 Get the toaster oven cookie baking tips here. The bagel function is one of our favorites but no worries if you don’t have a special bagel setting we’ve got a simple toaster oven hack for you to try. 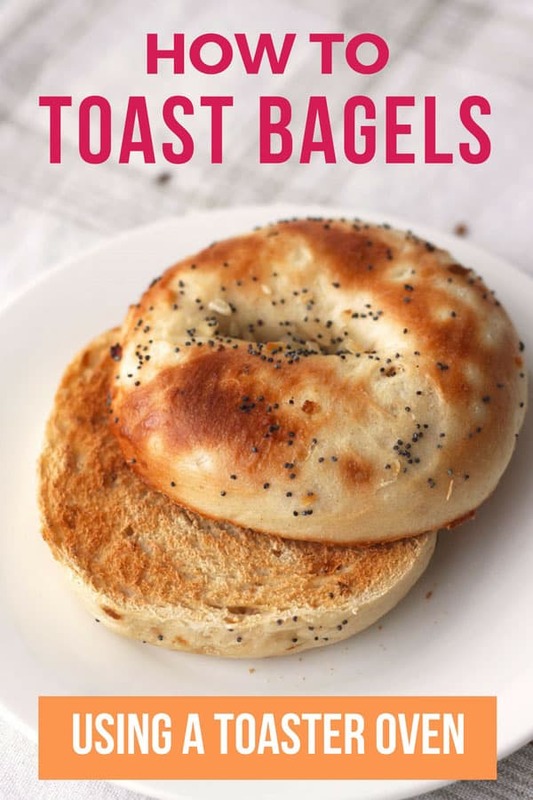 Once you’ve got your toasty carby treat, check out these 7 Tasty Ways to Top a Bagel to make it extra special! Read more about toasting bagels in a toaster oven here. 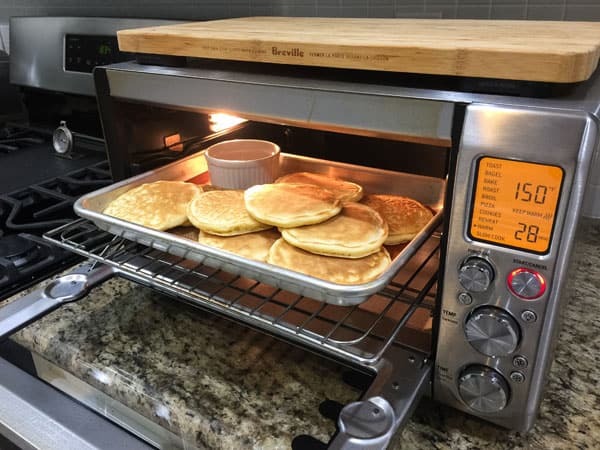 This quick and easy toaster oven hack will keep your first batch of pancakes warm while you make the rest of the batter. Don’t skip the bonus maple syrup tip, it’s a game-changer! Learn how to keep your pancakes warm here. 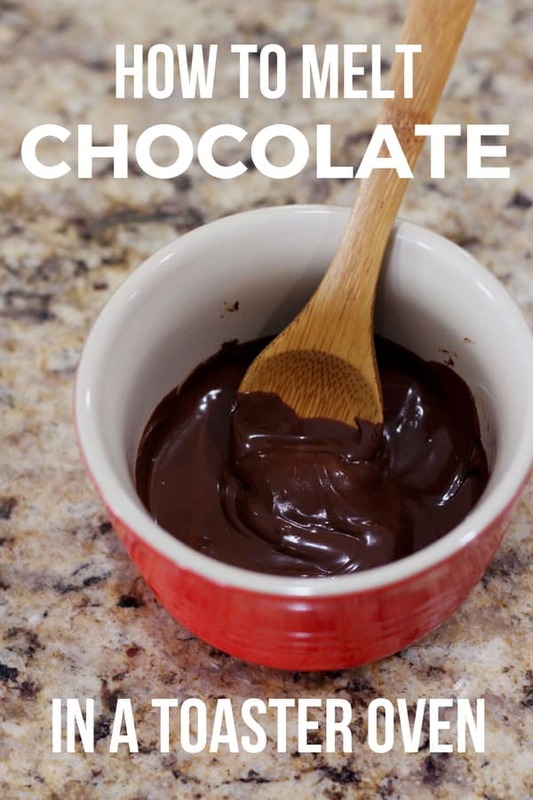 Need to melt a tiny bit of chocolate? Your little oven heats up quickly and is perfect for melting a small amount of chocolate for drizzling on ice cream or dipping fruit in. Learn how to melt chocolate in a toaster oven here. 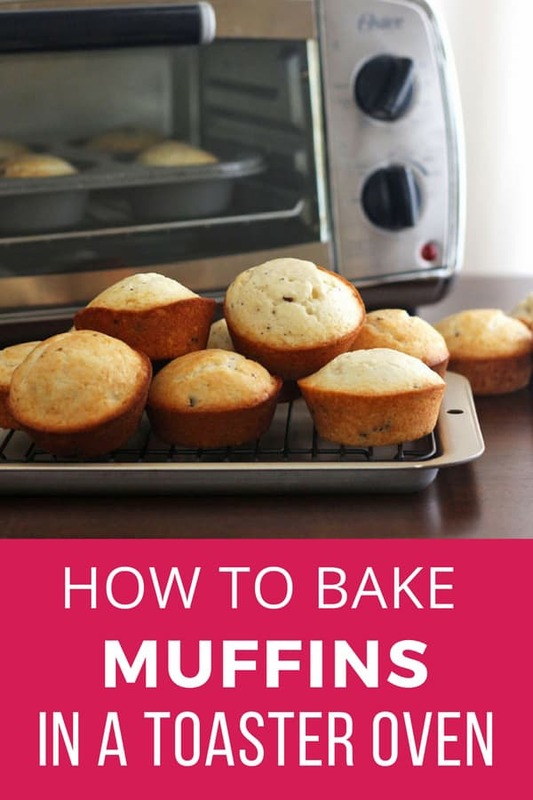 We baked 11 bags of muffin mix to discover the best pans, temperature settings, and rack placement to use when baking muffins in a toaster oven. See our Big Fat Toaster Oven Muffin Experiment here.